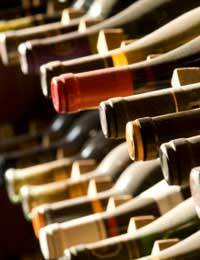 British wines are rapidly rising in popularity according to the wine buffs and it may all be down to global warming. But do the world’s best wine makers really have anything to worry about from the British wine producers? In reality British wine actually means English wine. Scotland and Northern Ireland have generally been too cold to grow grapes although Wales does boast 23 vineyards with the majority in the warmer South Wales. Wine growing in Scotland isn’t for lack of trying but grapes need around 100 days to ripen and Scotland does not have enough heat or sunshine to allow this. The South of England is wine growing country especially in areas such as Devon, Cornwall, Kent and East Anglia. But vineyards can be found in England as far north as Leeds. British or English wines have been winning major awards in recent years. In 2009, English wines won a total of 24 medals at London’s International Wine Challenge, one of the world’s biggest wine competitions. Camel Valley Bacchus, a Cornish wine, scooped a gold medal at the competition. The Nyetimber 2003 Classic Cuvee made in West Sussex beat off some of world’s best sparkling wine makers in the 2009 awards held in Verona. The Nyetimber cuvee actually won out over famous brands such as Louis Roederer 2000 who produce the world famous Cristal. It seems that the major reason British wines are coming into their own is the change in the climate. In 2003 a heatwave across mainland Europe ruined a great many European wines but added to the character of many English wines such as Nyetimber. If the climate in Britain continues to grow warmer it will be good news for British winemakers. Even chilly Scotland is looking to produce their first commercial wine if the temperatures continue to rise. Britain does not really produce enough wine per year to worry the continental countries. British wine production totals around two million bottles per year. France is one of the biggest producers at 6.9 billion bottles. Spain churns out slightly less, at 5.8 billion bottles per year. European wines are less expensive when compared to British wines and consumers can buy a better bottle of European wine for less money. Although Britain did win 24 medals at the International Wine Challenge this doesn’t really compare to France’s 729 medals. In terms of production Britain just doesn’t have enough land in the South of England to become one of the world’s major wine producers. The rising sunshine and temperature levels are definitely making it easier when it comes to wine production. But rising temperatures are a double edged sword. Experts predict that by 2080 the temperatures will be too high and vines will not be able to grow. But areas in the North of England such as Yorkshire and Lancashire may be able to grow red grapes by the year 2080 due to the rising temperatures. British wines do still seem to be bought by wine buffs looking to amaze their guests with an excellent wine made in the UK. Most British wine drinkers will tend to head for the more popular Spanish, Italian, French, Australian and South African wines. British wines can still be hard to find in the major supermarkets. Some of the big supermarkets still do not stock British made wines although Waitrose does stock over 30 different brands. The smaller high street wine shops are the best bet for a diverse selection, and wine can be ordered online direct from the wine producers.